Microsoft’s OneNote is arguably the best note-taking software out there. It can simply take care of all your note-taking needs, and there’s virtually nothing that comes close to it besides Evernote. While you can do some creative stuff with Evernote, OneNote can pack quite a punch as well in helping ease your life. While some of you might just use Microsoft OneNote in very simple ways, note that there are a few scenarios which can greatly increase OneNote’s effectiveness for you. 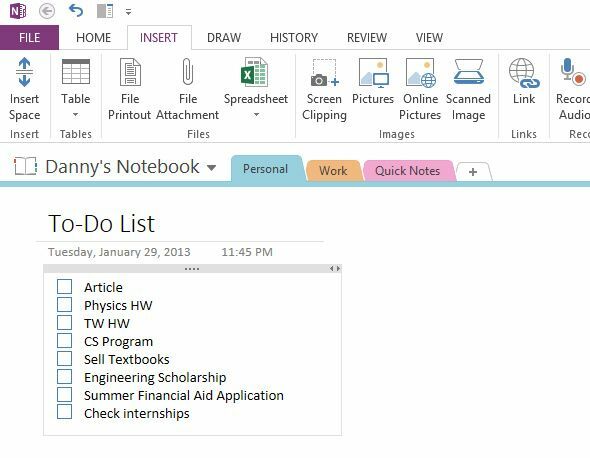 Here are five tips that can help you get more out of OneNote so you can reduce your stress, become more organized, and find time for other things in life. If you use Windows 8, Android, iOS, or Windows Phone, did you know that you can use OneNote absolutely free? While it won’t be as fully functional as the version found in the Microsoft Office suite, there are official OneNote apps available for Windows 8, Android, iOS, and Windows Phone absolutely free from the respective app stores. 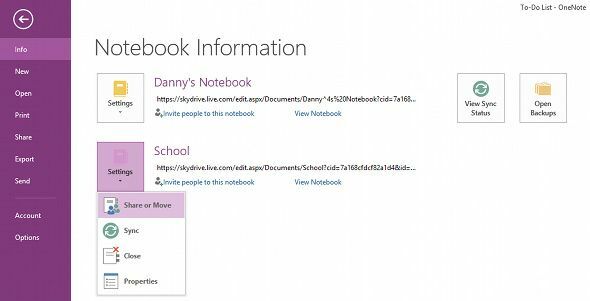 You can even use the OneNote Web App. These apps allow you to use the main features of OneNote that make it so great. The only limitation are the number of notes you can have, which won’t hurt you if you do some routine cleaning. So anyone can get their lives organized with OneNote without having to pay anything. Synchronization of OneNote’s notebooks is key if you have multiple devices. Being able to access and modify your notebooks from any of your devices can help save you time and possible frustration. Recent versions of OneNote can automatically sync via your Skydrive, which makes it easy to access the current versions of your notebooks from any computer or mobile device. If you’d rather not use Skydrive, but instead use a different cloud sync service like Dropbox, you can simply save your notebooks in your Dropbox folder instead. It may help to enable sharing on the notebook, however, so that you won’t encounter any issues if you have the notebook open on more than one device at a time. OneNote can be used for a lot more than simple note-taking — it can be used to store everything important in your life. This can include anything from keeping up with a simple to-do list to organizing client info for a business to organizing research when planning out a trip. If you come across anything that may be important in both the short-term as well as long-term, put it in OneNote! Just remember that there is a difference between keeping random daily notes and keeping organized notes. With organized notes, it’ll be a lot easier to find things you’ve saved, making OneNote a lot more useful for you. If you’re a student who hasn’t used OneNote before, then you seriously need to take a look at it. OneNote’s organizational structure for notes makes it perfect for students to organize their notes by class and topic or lecture. 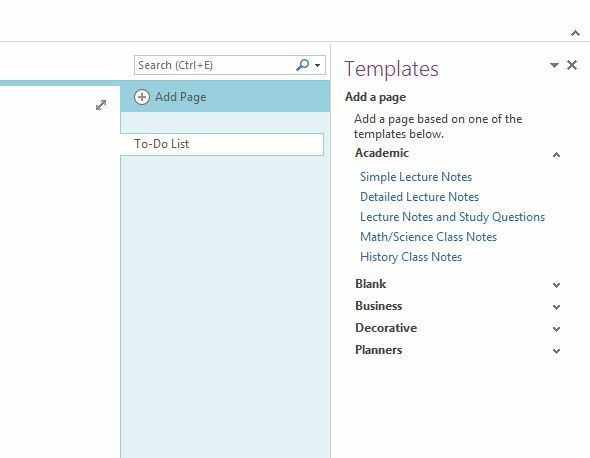 OneNote also offers a great template which students can start off with and then modify to meet their own needs. 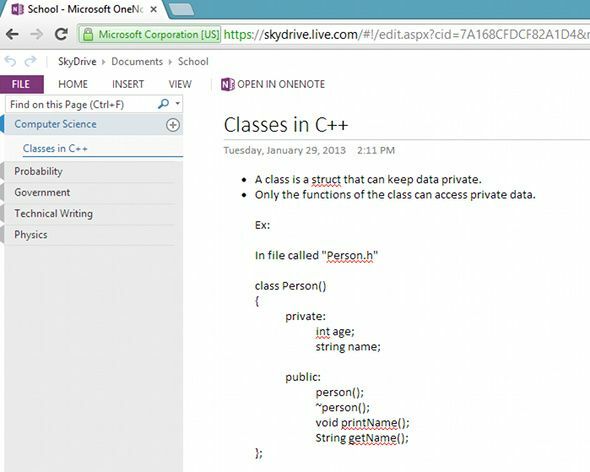 Microsoft OneNote is simply fantastic for a student’s every need — homework lists, quick notes, lecture notes, reviews, and more. Additionally, as a student, it’s even more important to have a system set up for synchronization, so that you are able to access your class notes wherever you are, even on the go. Besides being great for a number of different usage scenarios, OneNote also has a few features that aren’t very well known. One of them is OneNote’s ability to take care of mathematical problems right in your notes. You can give this feature a try right now: open up any random note and type out a simple math equation like “25/5=” but without the quotes. As soon as you hit enter or return after the equals sign, OneNote will automatically calculate the value for you. This helps combine notes and actual math work at the same time. Microsoft OneNote’s math capabilities reach much farther than that, however. 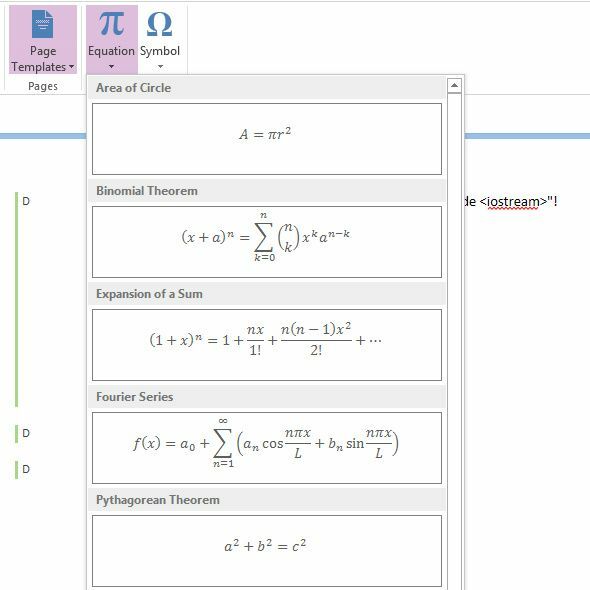 OneNote can also calculate trigonometric functions, logarithms, radians, derivatives, integrals, and a few other common math functions. Please note, however, that some of the advanced math functions can only be found in the paid version of OneNote, so your experience may vary if you are using a free app. Hopefully these five tips have convinced you that Microsoft OneNote is definitely worth a try, or worth diving further into if you’re just a casual user. You can also check out some other great OneNote tips, or check out this comparison between OneNote and the infamous Evernote. What OneNote tips do you have? What note-taking solution do you use if not OneNote? Let us know in the comments!